Surgeries to treat mesothelioma have led to increased survival rates in most patients and even survival in some cases. Does Surgery Improve Survival Rates? Mesothelioma survival rates are higher among patients who had surgery to remove their tumor. Surgically removing as much of the tumor as possible inhibits metastasis, which in turn increases survival rates. 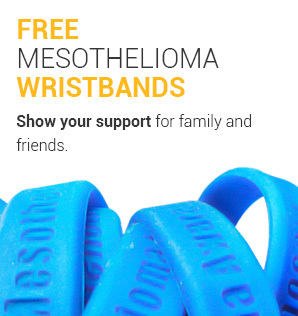 Find a mesothelioma specialist who can help you increase your survival rate through surgery. This procedure is performed on stage 1 and 2 pleural mesothelioma patients. The goal is to remove all of the tumors in the chest cavity. One study reported an average survival time of 19 months after the patients’ surgery. This procedure is also used for pleural mesothelioma patients although it cannot be performed if the tumor spreads to the lung. Studies have recorded increased patient comfort and similar survival times to that of the EPP. Cytoreductive surgery is used for patients with early stage peritoneal mesothelioma. One study recorded a median survival time of 7 years for patients who had the procedure. Candidates for surgical treatment are typically those who have been diagnosed with stage 1 or stage 2 mesothelioma. However, advanced stage patients are sometimes accepted in clinical trials. The type of surgery a patient undergoes depends on the location of the tumor. 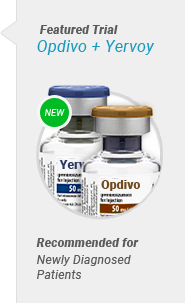 It is most effective when combined with chemotherapy and/or radiation. This multimodal approach has directly resulted in significantly increased survival rates and survival. Patients with pericardial mesothelioma may opt to have a pericardiectomy, but operative procedures are typically only used for pain relief purposes. Little is known about survival rates after a pericardiectomy because the disease is so rare. The extrapleural pneumonectomy (EPP) and pleurectomy/decortication (P/D) are the primary surgical options for patients with pleural mesothelioma. There is a treatment debate as to which procedure is more effective. However, many studies show the difference in improving survival rates between the two procedures is often negligible. Regardless which surgical treatment patients received, the survival rate statistics were fairly the same; studies favoring one procedure over the other tend to be subject to selection bias. 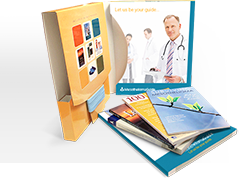 The procedure that is right for you depend on your diagnosis and overall health. 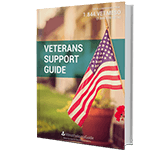 Finding a cancer center that is experienced in performing these procedures is the best way to increase your survival time. One study showed patients who underwent aggressive surgery had a 2-year survival rate of approximately over 35% and a 1-year survival rate of over 75%. The survival rate of those who underwent surgical procedures is 3 times higher than patients who did not receive surgery. This data shows the efficacy of surgical treatment versus overall survival rates for those with pleural mesothelioma. The choice to have an EPP or a P/D should be tailored to the individual because there currently isn’t enough evidence to suggest which procedure is better. The latest treatment for peritoneal mesothelioma is an operative cytoreduction with HIPEC (heated chemotherapy during surgery). The results of this treatment are very promising and show notable results in increasing survival rates. In one study by the National Cancer Institute, peritoneal mesothelioma patients had a median survival of over 7 years following surgery. Although peritoneal mesothelioma only makes up about ¼ of all mesothelioma cases, cytoreductive surgery has been developed and improved tremendously because it is used to treat many abdominal cancers. Peritoneal mesothelioma patients can significantly increase their life expectancy by getting this treatment. Compared to the standard 2-year survival rate of 35% for patients with peritoneal mesothelioma, those who had an operative cytoreduction with HIPEC increased their 2-year survival rate to approximately 70%. 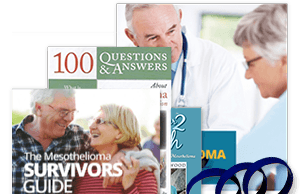 Learn more about the top mesothelioma doctors. Making the decision to have surgery can be hard and there are risks involved with every major surgery. 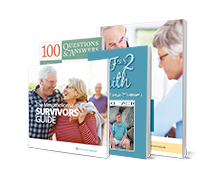 However, numerous eligible patients who chose to have one of these procedures have experienced an improved quality of life, increased survival time and in many cases, survivorship. 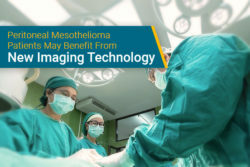 Almost every survivor of mesothelioma attributes their success to one of these surgical procedures combined with either chemotherapy or radiation treatment. These patients have taken their lives back, by taking every opportunity that came their way to beat the odds. 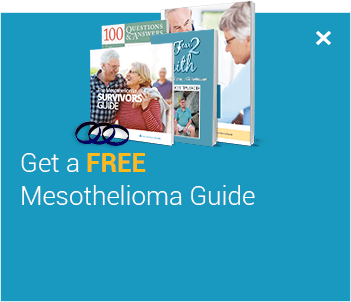 Learn the steps they took to reach remission in our free Mesothelioma Survival Guide. Hochwald L., Klem J., Knoppe, M., and Lavoie-Vaughn, N. (2009). 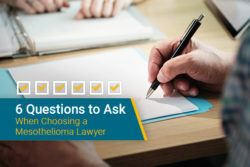 Understanding Mesothelioma. Dallas. Cure Media Group. Neoadjuvant Chemotherapy Followed by Extrapleural Pneumonectomy in Malignant Pleural Mesothelioma. Journal of Clinical Oncology. Retrieved from: http://jco.ascopubs.org/content/22/17/3451.full. Accessed: 10/15/18. Cytoreductive Surgery and Hyperthermic Intraperitoneal Chemotherapy for Malignant Peritoneal Mesothelioma: Multi-Institutional Experience. Journal of Clinical Oncology. Retrieved from: http://ascopubs.org/doi/abs/10.1200/jco.2009.23.9640. Accessed: 10/15/18. Mesothelioma. Surveillance, Epidemiology and End Results Program. Retrieved from: https://seer.cancer.gov/archive/csr/1975_2010/results_merged/sect_17_mesothelioma.pdf. Accessed: 10/15/18. Last Edited: October 15, 2018.